Teachers, students and allied health professionals get excited! Join the incredible International Yoga/Pilates and Movement teacher Trina Altman from the USA for her first ever visit to Australia. Trina will only be travelling to Adelaide in September 2019 to offer her exciting workshops during her world tour. Trina Altman, BS, PMA-CPT, received her training through STOTT PILATES​®​ and is an E-RYT 500, YACEP​®​. She’s the creator of Yoga Deconstructed​®​ and Pilates Deconstructed​®.​ These courses take an interdisciplinary approach to foster an embodied understanding of Yoga and Pilates and their relationship to modern movement science. Trina has presented at Kripalu, the Yoga Alliance Leadership Conference and Yogaworks, among others. She also created and taught a Pilates continuing-education course for physical therapists and was part of the faculty for the Brain Longevity conference at UCLA. Trina was a finalist in the Next Pilates Anytime Instructor competition in 2017. Her work has been published in ​Yoga Journal, Yoga International​ and ​Pilates Style. Her book, ​Yoga Deconstructed®: Transitioning From Rehabilitation Back Into The Yoga Studio is slated to be published by Handspring Publishing in December 2019. ​You can also follow Trina on Instagram @trinaaltman or on Facebook Trina Altman Yoga and Pilates. Join Trina for 4 days of training offered through the Yoga Deconstructed ® Weekend Workshops and the Creativity Meets Science Series packages. Each package consists of four workshops. So you can choose to commit to one of the packages, or both! $325 per package or for the full 4 day schedule $650. (Please note these are offered as Early Bird prices until 17th April 2019). Alternatively, if you are not able to commit to the packages you can register for SINGLE modules, priced currently at $93 per module (note this is early bird rate). Scroll down to book. We highly recommend you purchase a package to gain a better understanding of Trina’s approach and methods, gaining a more ROBUST experience, also great savings! You will be brought up to speed with the latest research in bio-mechanics, exciting sequences to offer your students and awesome training. Trina will not be offering these workshops anywhere else in Australia and places are limited so do ensure you book soon to reserve your spot. ***To book please go to link below, if you don’t have a sign in yet you will need to sign in, this takes 10 seconds, then go to customer area and click on special events in the tab section above to book your courses*** Options to attend 4 full days, or 2 x Packages or individual workshops see below. FULL 4 x DAY TRAINING PACKAGE – $650 EARLYBIRD TILL 1st MAY PLACES FILLING FAST!! Workshops 14th-15th Sept are open to all levels, teachers, students, allied health professionals. Anyone that wants to learn more about the human body and bio-mechanics. Click ‘book now’ button for Weekend Workshops Package or you can book individual modules on the ‘BOOK SINGLE’ links below. Your booty doesn’t have to be a beast. Having strong gluteal muscles can help prevent injury and decrease back pain. Because, too many times, we’re getting lax in the back – letting our butts develop “gluteal amnesia”. A muscular imbalance that can overwork the hamstrings, hip flexors, and lower-back muscles, leading to pain and weakness. This Yoga Deconstructed® workshop will dispel myths about what to do with your derriere in yoga poses and help you put some swoosh back in your tush. Free your hips so that you can sashay your way to a better behind. Learn how, why, and when to use your glutes during your yoga practice, daily life, and other fitness endeavors. Connecting the upper and lower extremities to your spine and pelvis. Discover how to build mobility without sacrificing stability. Using novel exercises that explore dynamic multi-directional movement in the transverse plane. If you’ve ever been afraid to use a kettle-bell or a sandbag, didn’t have access to equipment, or were afraid of hurting yourself, this workshop is for you. Perhaps, you’ve wanted to hire a personal trainer to become more educated about building strength. However, it’s too expensive, you don’t like the gym, and you struggle to find someone you connect with and can trust. This Yoga Deconstructed® workshop will teach you the foundations for adding load; improving strength; and enhancing coordination. So you can master new motor patterns in a slow, mindful way, and be better prepared to load in the transverse plane. Using rotation to improve balance and stability. Accessing rotation through cross body patterning (crawling and gait). P.S. Soothing somatic exercises and myofascial release techniques are included! Pelvic stability is necessary for pain free movement during your yoga practice and activities of everyday life. Old school yoga taught us that all you need for core stability was to engage mula bandha and uddiyana bandha during your asana practice. However, many practitioners still experience SI joint and low back pain, despite adhering to this practice. Modern movement science is now finding that pelvic stability requires more than drawing the navel to the spine and engaging the transverse abdominus. While isolated strength training for the pelvis and core can be beneficial. Research tells us you also need to practice connecting the upper and lower extremities to your pelvis in a coordinated and functional way to experience true stability and address SI joint dysfunction. In this Yoga Deconstructed® workshop, you will learn preventative strategies as well as a vast array of dynamic and static exercises that will keep your SI Joint stable and strong. Whether you have sacroiliac dysfunction, or just want to keep the low back area safe during your yoga practice, this workshop is for you. Soothing somatic exercises and myofascial release techniques are also included. The daily grind might just be wrecking your neck. Most of us spend a large portion of our days glued to a computer screen or texting on the phone. Unfortunately your cervical spine bears the brunt of this repeated stress and strain which often leads to stiffness, painful tension and decreased range of motion. Unwreck Your Neck hands you the tools to undo the damage and prevent further injury. Think of this workshop as a cervical oasis, a place where you’ll learn self-massage techniques using specialized balls to reduce tension in the muscles and fascia of your knotty neck and upper back. Soothed, you’ll be ready to address all the tissues of your neck, shoulders and forearms with a detailed focus on your deep neck flexors—the “core” of your neck. Expect to have “a-ha” light-bulb moments as you unveil body blind spots while learning how to change your daily habits to set a new foundation for a healthy, happy neck. *All four workshops are open to all levels and qualify for Yoga Alliance CEC’s. Open to all levels: Movement Teachers and Allied health professionals. Each workshop can be taken individually. A certificate of attendance is awarded to students who take all four workshops. Qualifies for 12 Yoga Alliance CEC’s. Click ‘book now’ button for Creativity Meets Science Series Package or you can book individual modules on the ‘BOOK SINGLE’ links below. Are you finding that your students often struggle to do even the most basic poses in your classes? Or, if they’re able to do all the poses, do they complain of wrist, back or hip pain? Unfortunately, most people are desk bound and their only movement for the day is during yoga class, so their bodies aren’t well adapted for the large ranges of motion required. Conversely, many of our students who are able to practice all the poses are still in pain, because they aren’t balancing out their extreme ranges of motion with stability and strength. If you’re struggling with helping your students become more embodied and want strategies to create a safer class environment, this workshop is for you. An exercise science based approach to sequencing to prepare the body for movement and minimize the risk of pain and injury. 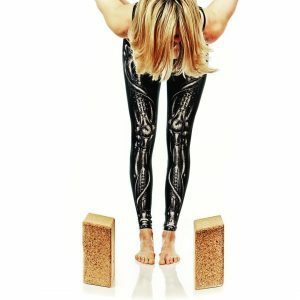 An introduction to taking an interdisciplinary approach to teaching yoga and how to add techniques from other modalities to your teaching toolbox. In yoga classes we’re trying to create an environment that nurtures your mind as well as your structure. However, many of our students don’t feel safe in classes, because they’re afraid of doing the poses “incorrectly” or receiving an unwanted hands-on adjustment. Additionally, in most yoga classes, a typical warm up doesn’t facilitate joint differentiation. For example, in cat/cow most students will flex and extend their spine in the places that already have the most mobility, rather than finding movement in places that are underused. Beginning your classes with somatic exercises and sensory feedback methods before a corrective exercise such as cat/cow, helps your students become aware of movement blind spots that may contribute to pain in more advanced poses later in class. Strategies to introduce variability and neuro-muscular re-education into class that help facilitate tissue resiliency, neuro-plasticity, and new motor patterns. Modern postural yoga uses poses that in theory prepare the body for a peak pose at the end of class. However, exercise science has shown that there is a more effective way. By incorporating corrective exercises into our classes, we can better prepare the body for more challenging asanas, while bridging the gap between our sedentary lifestyle and yoga asana. This also helps to reduce the risk of injury. Also, asana is a highly specialized form of movement that often emphasizes aesthetics over function. Through corrective exercise, we can balance out our practice, by including movements that don’t exist in yoga poses. Thus reducing our risk of pain and overuse injuries. If you’ve been trying to incorporate corrective exercises in your teaching, but have been struggling with selecting the right exercises and sequencing them within a class, then this workshop is for you. Oftentimes, alignment cues are thought to be synonymous with safety. However, not all alignment cues correlate with bio-mechanics or function. This is why critical thinking skills can make you a more effective teacher. In this ​Yoga Deconstructed® ​workshop, you will learn to apply critical thinking when teaching, creating and selecting corrective exercises. The application of corrective exercise to improving function in everyday life and athletic performance. Have you been trying to keep up with the latest research, but you aren’t sure how to apply it to your classes? Are you looking for a way to differentiate yourself and specialize in movement, so you can establish credibility, be the go-to expert in your community, fill your classes, and get more private clients? Do you just want to know how to keep your students safe? Unlock your creative potential and movement smarts by learning how to combine applied anatomy with the trans-formative aspects of yoga. This updated, evidence based formula will keep you current in your teaching, prepare you to foster a safe environment for multi-level classes, help you attract more private clients, and build your following. Thanks for visiting us at Synergy Yoga and Pilates, we hope to see you on the mat real soon!